Zoey is a current Masters of Social Work student at San Diego State University. She has obtained my bachelor’s degree with Human Development major at Cal State University San Marcos. She started working with seniors since 2009 in different settings, and a fair amount of her clients had Alzheimer’s disease, especially when she interned and worked for hospice. 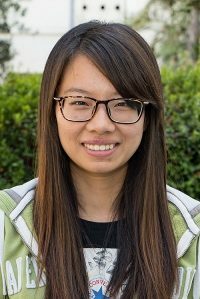 Zoey’s current intern position at Union of Pan Asian Communities (UPAC) allows her to split her time between the Adult Mental Health Program and Geriatric Specialist. Her main role is to screen and assess newly admitted clients, provide therapy sessions to people who are over 60 years old and suffer from severe mental illness, and host support groups. A lot of the people she serves have schizophrenia and Major Depression Disorder with a secondary diagnosis of dementia. One of her roles is to detect for early stage Alzheimer symptoms and provide educations and resources that would go hand in hand with individual therapy. Besides, she is also helping with the Geriatric caseload to connect individuals to their primary care doctors for screening and treatment of signs of cognitive impairment that may have gone diagnosed.